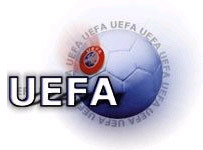 This competition, second in prestige only to the World Cup, began as the European Nations Cup in 1960 and became known as the European Championship in 1968. It has been staged every four years since its inception. England did not enter the first competition in 1960, but have taken part in all thirteen tournaments since the first, beginning with the 1964 edition. Despite their recent dismal qualification for the 2008 final tournament, they had reached the final tournament seven times in twelve efforts. They have qualified through play in the preliminary competition on six occasions (1968, 1980, 1988, 1992, 2000 and 2004) and as the host country once (1996). They have failed to qualify for the final tournament on five occasions (1964, 1972, 1976, 1984 and 2008). England have never won the European Championship or even reached the final match. They have had some success in only two of the twelve tournaments they entered before the 2008 edition. Twice they have finished third. At the 1968 final tournament in Italy, they lost to Yugoslavia, 2-1, in the semi-finals and beat the USSR, 2-0, in the third-place match. At the 1996 final tournament on home soil, they fell to Germany on penalty kicks after a 1-1 extra-time draw and, since the consolation match had been shelved, shared third place with France as beaten semi-finalists. England's performance in the ten other European Championship tournaments they entered before the 2008 tournament have been dismal. Not only have they failed to reach the final tournament altogether on five occasions, but they have failed to advance from the first round group stage another four times (1980, 1988, 1992 and 2000). They have advanced past the initial group stage of the final tournament only once in the last nine competitions stretching over 36 years, and the single exception came in 1996, when they qualified automatically as host nation and enjoyed the considerable advantage of playing all their matches at their home ground, Wembley Stadium. This appalling record, more than anything else, establishes that England long ago lost their place among the first-rank football powers. The overall quality of the teams at the European Championship final tournament is considerably higher than at the World Cup final tournament, and performance in the European Championship is thus a much better indicator of international standing. Qualification for the first two tournaments (1960 and 1964) was conducted on a home and away knockout basis. Beginning with the 1968 tournaments, qualification was achieved through group play. Through the 1976 competition, only four teams qualified for the final tournament, which consisted of the semi-finals, the final and the third-place match. The quarterfinals were conducted on a home and away knockout basis and were not part of the final tournament. From 1980 through 1992, eight teams reached the final tournament and were divided into two groups for round-robin play followed by semi-finals and the final. Since 1996, the final tournament has consisted of 16 teams with round-robin play in four groups followed by quarterfinals, semi-finals and the final. From France 2016, the format of the final tournament consisted of six groups of four teams, followed by a round of 16, quarter-finals, semi-finals and final. The top two from each group would qualify in addition to the four best third-ranked sides, the same system as was applied in the World Cups from 1986 to 1994. This format would generate a total of 51 games, compared with 31 previously, to be played over a period of 29 to 31 days depending on the match schedule. This decision gives middle-ranked countries a much greater chance to qualify for the finals. The traditional qualifying structure, with groups of six and five teams, remained in place. A third-place match was held from the initial tournament in 1960 through the 1980 tournament, but later tournaments have dispensed with it, and third-place has instead been shared by the beaten semi-finalists.